Until October 26th 10% discount on all ships and cottages! 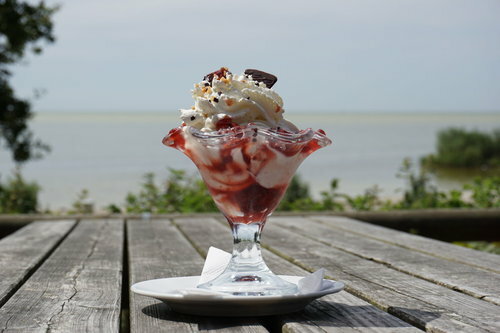 Benefit from a 10% discount on all ships and cottages! Everything at a 10% discount! Holiday: Rest and relaxation or active! 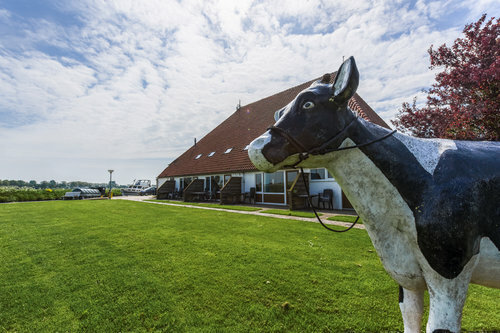 Are you looking for a holiday on and around the Frisian lakes with your partner, family, friends or colleagues? De Hoek Watersport offers various possibilities to experience an unforgettable holiday! Take a look at our nice boating routes and/or fishing opportunities. In addition to the cabin cruiser/motorboats below you can also rent sailboats, fishing boats or sloops. 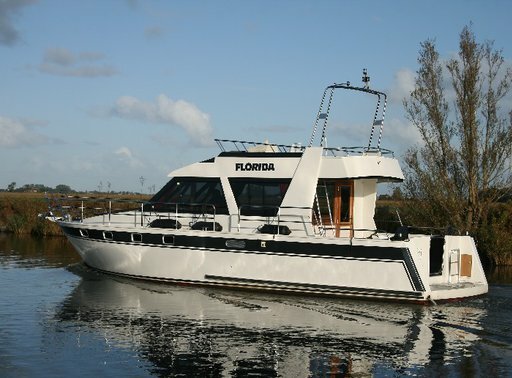 Cabin cruiser Florida is 13.50 meters and suitable for 6-8 people. Rent this striking boat now and spend your next holiday on the Frisian Lakes! Type Scorpion 13.50 from €1005.00 p.w. Cabin cruiser Sperwer is 11.50 meters and suitable for 6-8 people. Rent this striking cruiser and enjoy your next holiday on the Frisian Lakes! Gruno 11.50 from €825.00 p.w. Cabin cruiser Buizerd is 11.50 meters and is suitable for 6-8 people. 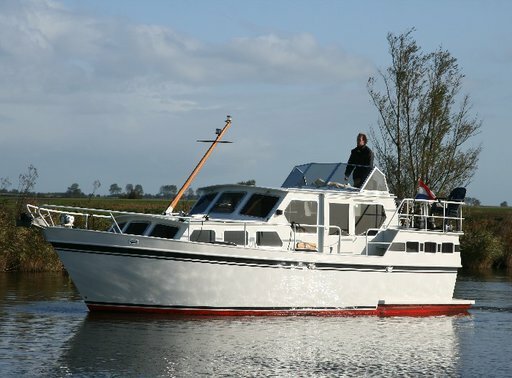 Rent this spacious boat now and enjoy your next vacation on the Frisian Lakes! Gruno 11.50 from €825.00 p.w. Cabin cruiser is 11.50 meters and suitable for 6-8 people. 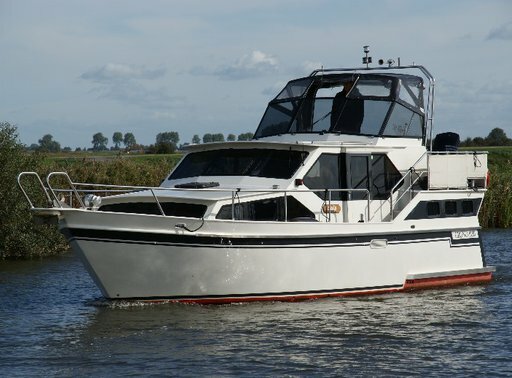 Rent this spacious cabin cruiser now and enjoy your next vacation on the Frisian Lakes! Type - Gruno 11.50 de Luxe. from €825.00 p.w. Cabin cruiser is suitable for 4-6 people and is 11.50 meters. Rent this sturdy boat now and enjoy your next holiday on the Frisian lakes. 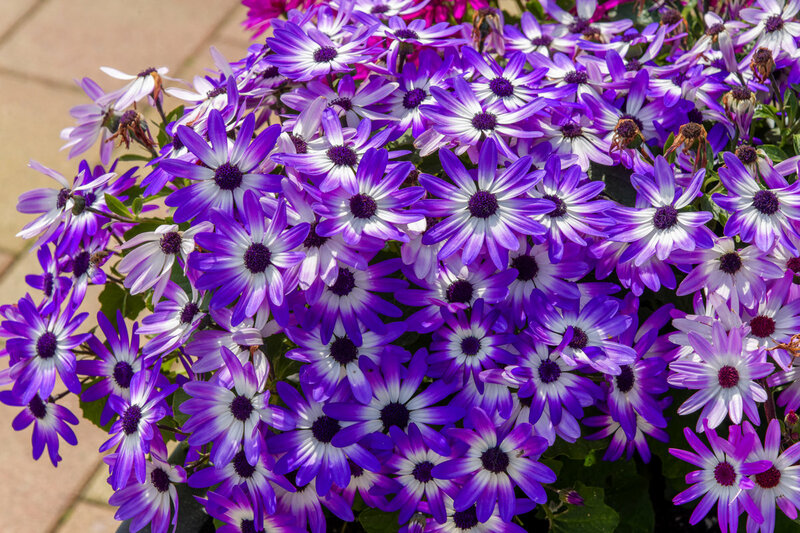 Type: Gruno 10.80 Sporte advise you to book in time to avoid disappointment! from €785.00 p.w. Cabin cruiser is 10.50 meters and suitable for 4-6 people. Rent this sturdy boat now and enjoy your next holiday on the Frisian lakes. Type: Gruno 1050 De Luxe from €735.00 p.w. Cabin cruiser Frisian Dream is 1050 meters and suitable for 4-6 people. Rent this luxurious, spacious and easy to sail boat and enjoy your from €785.00 p.w. Cabin cruiser Zwaluw is 9.00 meters and is suitable for 4-6 people. 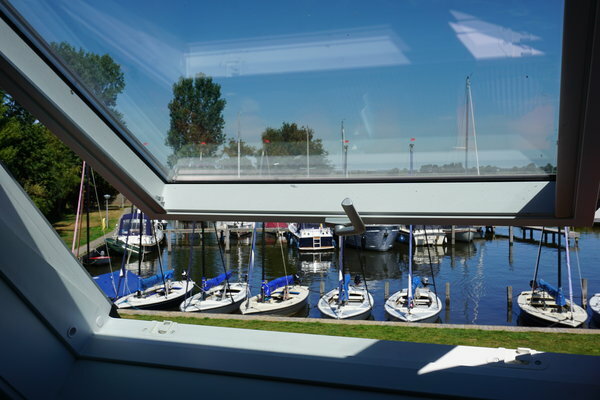 Rent this boat now and sail your next holiday on the Frisian Lakes! Type Aquanaut 900 from €560.00 p.w. Cabin cruiser Iris is suitable for 2-4 persons and is 11.50 meters. 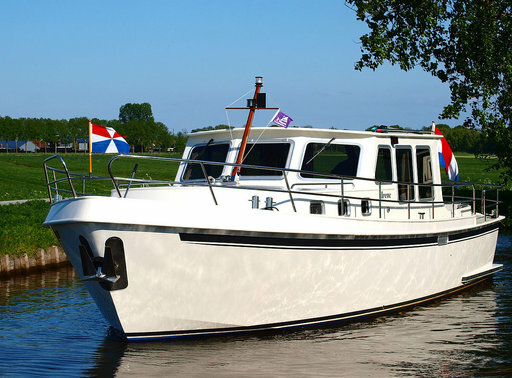 Rent this great boat with a lovely spacious aft for optimal enjoyment and spend your next holiday on the Frisian lakes. 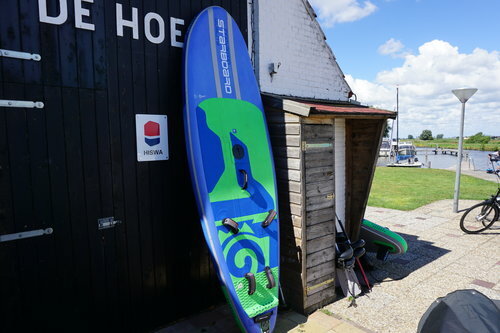 Type: De Jong cruiser 11.50 from €825.00 p.w. Cabin cruiser Pearl is 10.50 meters and suitable for 2-4 people. Rent this luxurious, spacious and easy to maneuver boat and enjoy your next holiday away on the Frisian Lakes! Type Delphia 10.50 Escape from €785.00 p.w. Cabin cruiser Trotter is 10.50 meters and is very suitable for 2-4 people. 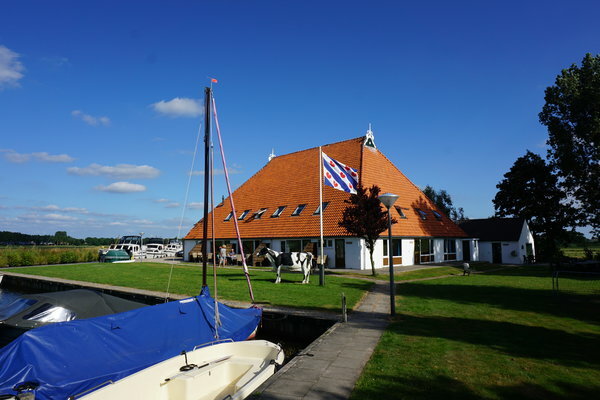 Rent this luxurious, spacious and easy to maneuver boat and enjoy your next holiday away on the Frisian Lakes! Trotter Type Delphia 1050 Escape from €785.00 p.w. Cabin cruiser Jan-van-gent is suitable for 4-6 persons and is 12.00 meters. 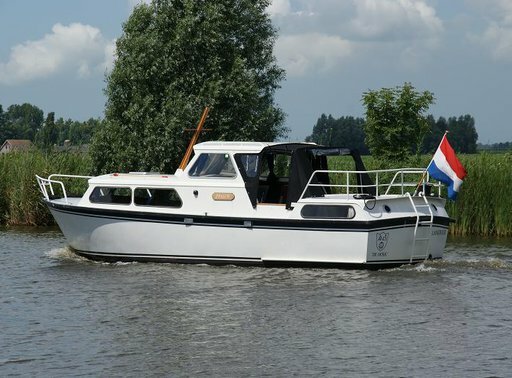 Rent this super nice spacious boat now and enjoy your next holiday on the Frisian lakes. This cabin cruiser has a separate aft cabin. 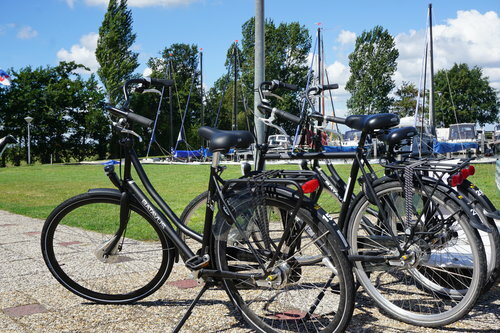 Type De Jong cruiser 12.00 from €995.00 p.w. 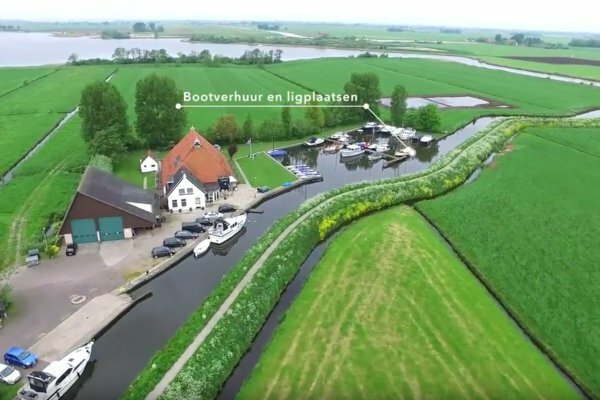 Are you looking for an active experience on the water or are you looking for peace and quiet in the beautiful landscape of Friesland? 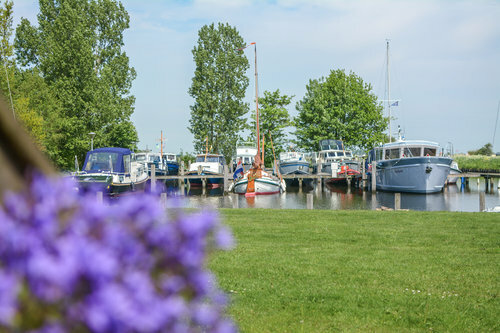 Whatever you are looking for, De Hoek Watersport offers many options for families, couples and groups looking for a holiday on and around the Frisian lakes. This cabin cruiser has modern lines and has a lot of interior space. The ship has, just like our other ships, luxurious equipment and is therefore extremely suitable for boating holidays over the Frisian waters or beyond. The Delphia motor cruiser is equipped with a sofa bed and an outdoor shower. Not only is the inside spacious and comfortable, the cockpit outside also has plenty of room so that you can comfortably sit and enjoy the beautiful waters around you. The cockpit can be closed by means of a tent. The cabin cruiser is equipped with a bow thruster and an Ipad GPS navigation. De Hoek Watersport leases sailing boats (Polyvalk) for two to six people. You can rent the sailboats for a day, but they also to rent in combination with renting an apartment. Tsjirk (Tureluur) is a spacious apartment for 6 people. Your terrace on the south offers plenty of sun. Downstairs has a large living room with a cozy dining area. There is a dining room table in the dining area and two comfortable leather sofas and an armchair in the seating area. Upstairs has 2 bedrooms, 1 bedroom with 2 single beds and 1 bedroom with 4 single beds. Beautiful surroundings and what a rest! A vacation you will never forget at one of the most beautiful places in Friesland. Boating, cycling, walking and enjoying the surroundings. 2 weeks of sailing with the Grebe. What a wonderful ship and what a friendly and relaxed people from Hoek himself. We have enjoyed super and will probably see each other again next year. RECOMMEND! In June a nice trip along the Frisian villages and towns, with a trip via the Lauwersmeer to Groningen. Our ship was the 12-meter long Bittern. Spacious enough for 6 people. We manned him with the two of us and that was fine. Sufficient comfort and the ship is pleasant. 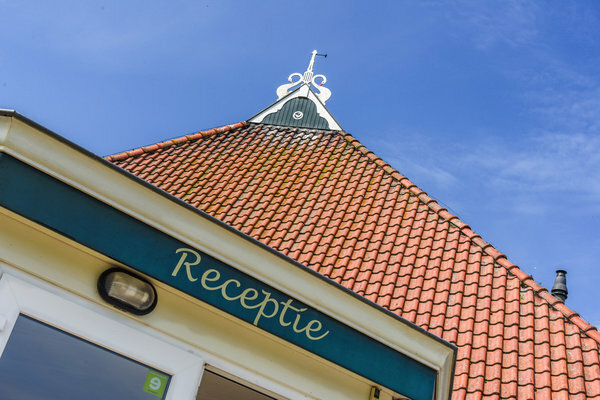 Our 19th century farmhouse is beautifully situated in the Frisian landscape, amid waterways, Frisian lakes and meadows. Far away from all the crowds. All holiday homes have a large living room with cable TV, two to three bedrooms, a private terrace with open views and a bathroom with toilet and shower. There is also a washing machine for shared use. You can enjoy fishing from the shore or rent a fishing boat, sloop, or sailboat and go on the water yourself. Also check out our nice boating routes. Boating to an island is recommended for a fun day out. Of course it is also lovely cycling in the middle of the Frisian lake district. In 2018 the skylights were renewed and the first bathrooms have been renovated. You can read about this on our news page. Come and experience atmospheres at De Hoek Watersport! 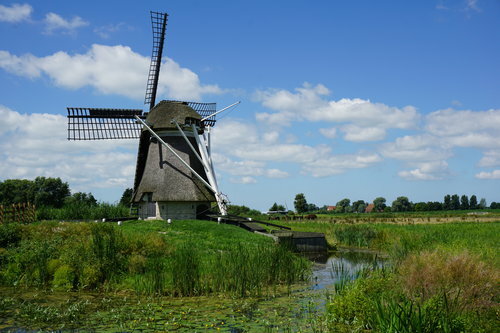 In these films we want to introduce you to the beautiful Frisian Lakes region. This is how the peace and space look at De Hoek Watersport. Would you like to stay informed in regard to developments of De Hoek Watersport? Please fill out the form below!